I saw those faces in our neighbors going into our pantries, but because of your support, what I saw coming out were people with healthy food to eat, and my hope is a better life because of it. I believe that when we provide healthy food to our neighbors that may otherwise go without, we are also building a stronger, safer, and healthier community for everyone. Looking ahead, the growth in demand we are experiencing to meet people’s most basic food needs is sobering, but it also allows us the chance to grow as a community. To quote James Beard, “food is our common ground.” We all need it. 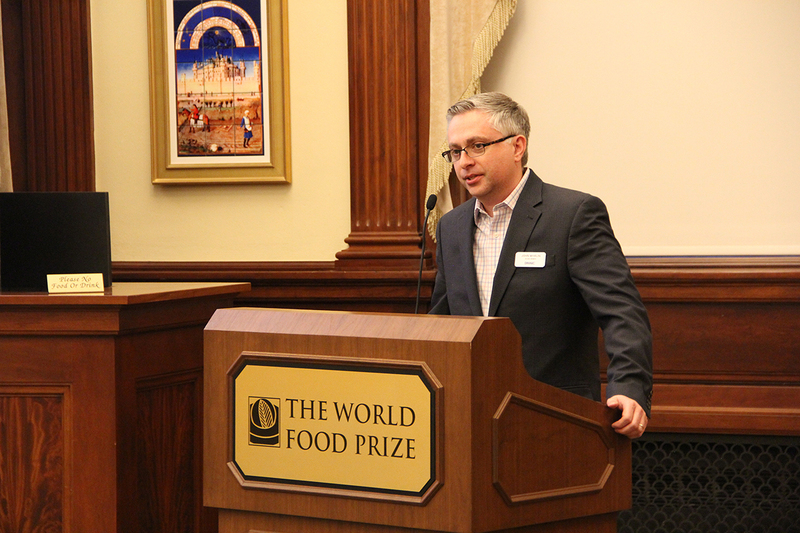 From an interfaith perspective, bringing people together to fight food insecurity gives us the opportunity to use that common ground to create a greater spirit of empathy and collaboration in what is otherwise too often a divided and troubled world. We can build a greater sense of community that we all benefit from through the spirit of empathy, giving, and collaboration demanded of us to ensure that none of our neighbors go hungry. Thank you for the opportunity to serve as part of that effort. 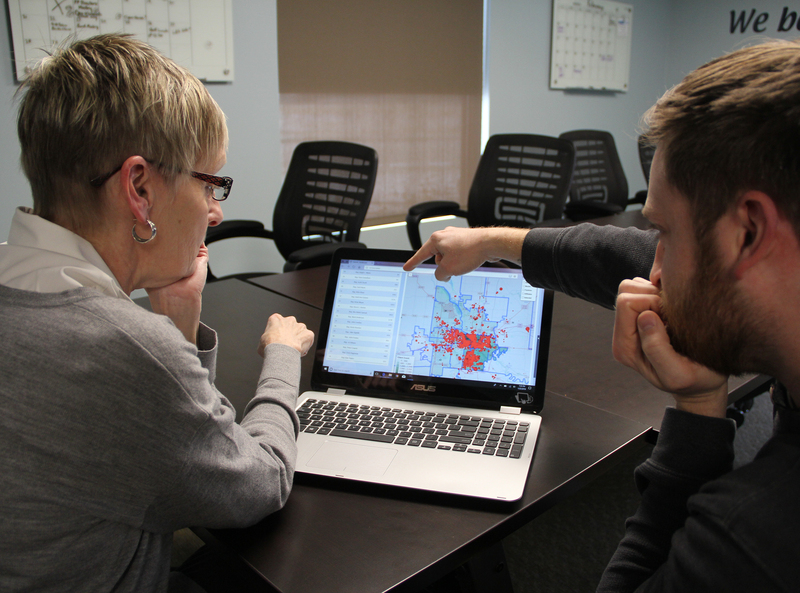 DMARC has been utilizing a new tool to help tell the story of food insecurity in Greater Des Moines: a data visualization dashboard. The data visualization dashboard provides a big picture look at food insecurity in Greater Des Moines. With this new tool, we can identify areas of our community with the greatest need, explore concentrations of senior and childhood food insecurity, and analyze how individuals move within DMARC’s Food Pantry Network. Individually, these data points represent human beings who have used a DMARC partner food pantry. Collectively, they paint a stark reality that is hard to deny—food insecurity knows no boundaries in our community. The data visualization dashboard has been an incredibly effective advocacy tool when discussing the issue of food insecurity in Greater Des Moines with legislators, organizations, and other local leaders. DMARC Food Pantry Network Assistant Director Daniel Beck (R) demonstrates the data visualization dashboard to Executive Director Rev. Sarai Schnucker Rice (L). Board member Matt Strawn, Director of Development Leslie Garman, Sarai Rice, and Past President Jody Mead at the 10th Anniversary celebration for Rev. Sarai Schnucker Rice. On March 1, 2018, DMARC celebrated 10 years of Rev. Sarai Schnucker Rice’s leadership. To commemorate this milestone, DMARC established the “Fresh Fund” to support the purchase of fresh fruits and vegetables. The Fresh Fund was created because, simply put, healthy food is expensive food. We know that people using our food pantries can’t always afford to buy fresh and healthy food for their families at the grocery store. In fiscal year 2017-2018, the DMARC Food Pantry Network distributed 1,463,276 pounds of fresh fruits and vegetables in Greater Des Moines. With our focus on providing healthy food, and the continued increase in need at our food pantries, we know our expenses for fresh produce will continue to rise. But you can help! 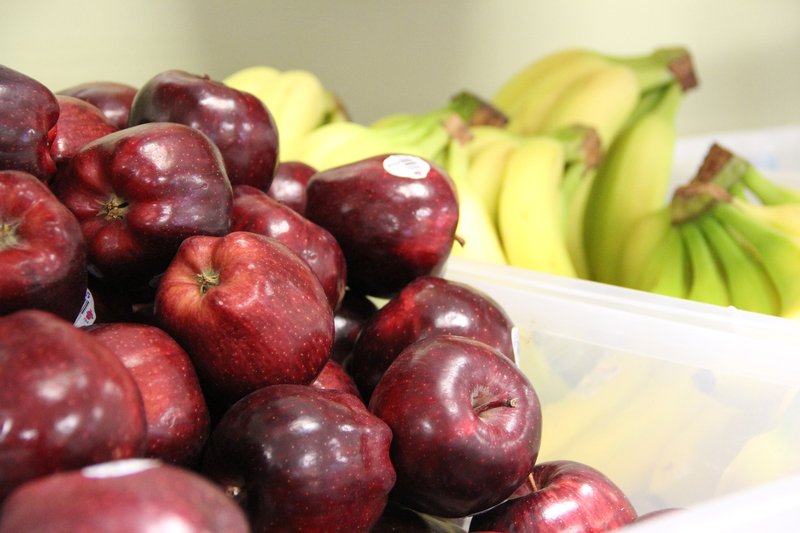 By donating to DMARC’s new Fresh Fund, you are supporting the purchase of fresh fruits and vegetables and the health of the people assisted by our Food Pantry Network. Give to the Fresh Fund today. On Saturday, May 12, 2018, the National Association of Letter Carriers (NALC) held their 26th annual Stamp Out Hunger® food drive across the nation, and the DMARC Food Pantry Network was the local beneficiary of the food drive in Greater Des Moines. 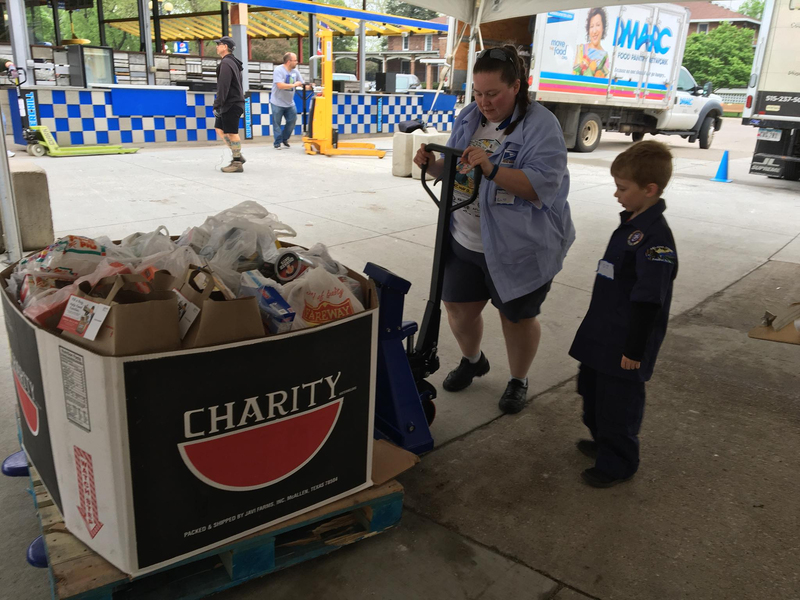 That Saturday, letter carriers around the metro collected food donations from mailboxes and doorsteps, which were brought back to their local post offices, and then transported to the East Grandstands’ Hall of Law and Flame at the Iowa State Fairgrounds. 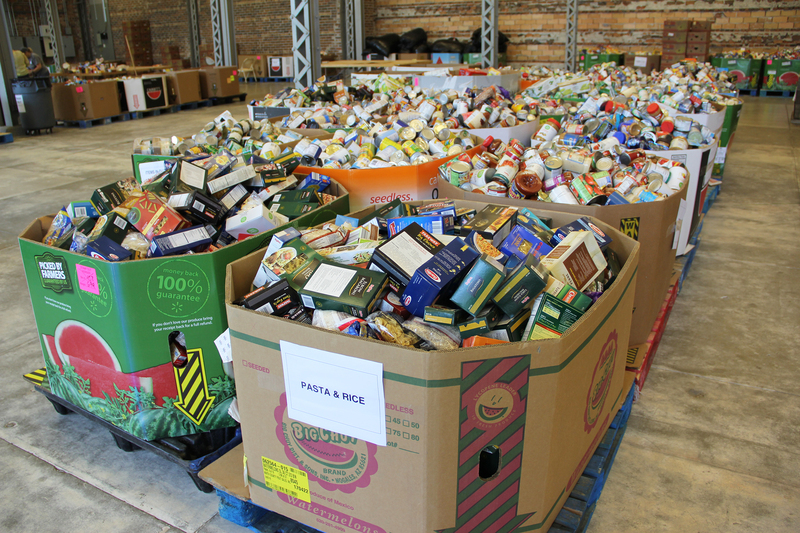 In total, 63,402 pounds of food were collected during Stamp Out Hunger®—over 100 watermelon bins full of food! The following week, hundreds of volunteers assisted in date and seal checking, sorting, and boxing up food. View more photos from Stamp Out Hunger®. 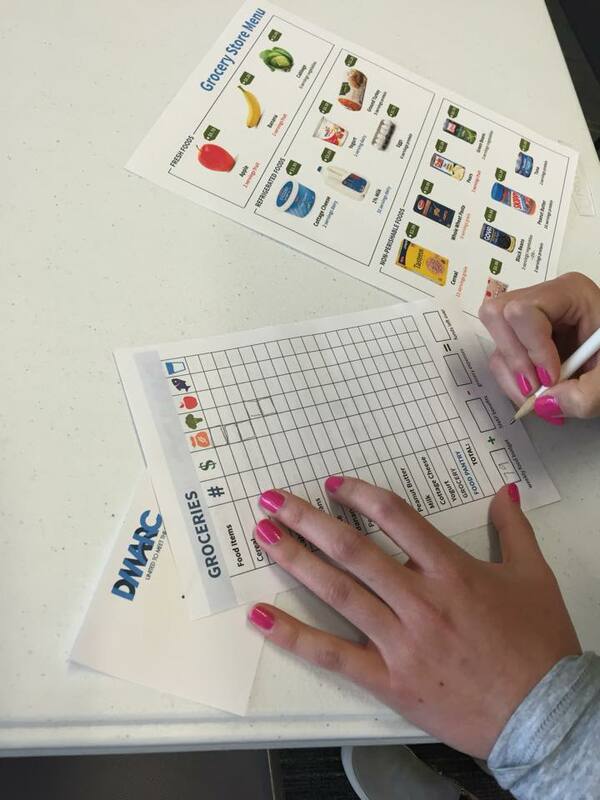 In fiscal year 2017-2018, DMARC developed a Hunger Simulation to help our supporters understand the realities of living with food insecurity. The DMARC Hunger Simulation is an immersive interactive experience where participants take on the identity of a real person living with food insecurity. Participants must determine their food budget to and get the recommended USDA MyPlate servings of fruits, vegetables, proteins, grains, and dairy by shopping at the grocery store, visiting a food pantry, and applying for SNAP benefits at the DHS office—all within 15 minutes. 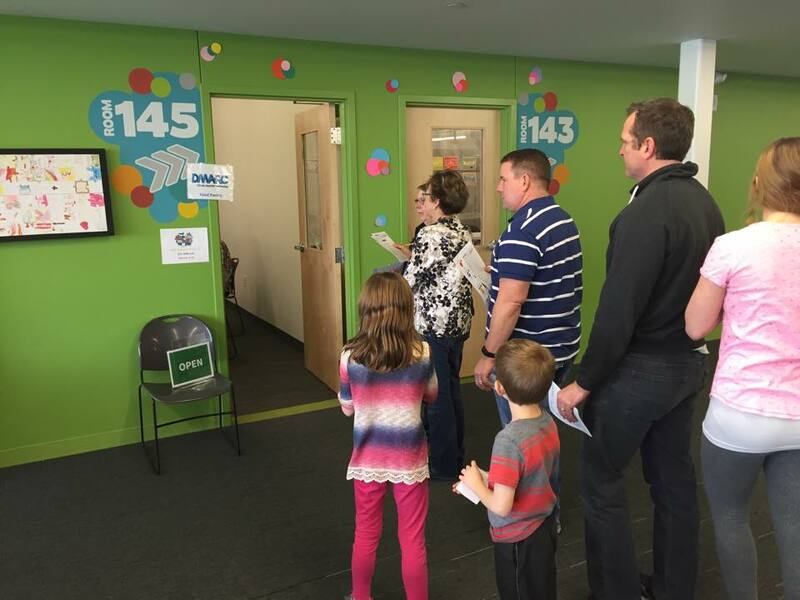 DMARC has hosted Hunger Simulations for groups both large and small from congregations, schools, and businesses. After the simulation is complete, we reflect on the experience and lead a discussion about the issue of food insecurity and the work of the DMARC Food Pantry Network. Learn more about our Hunger Simulation. Corporate engagement is an important part of any nonprofit’s work, including that of DMARC. But what does corporate engagement really mean? In today’s work environment, employees are looking for more than a “job.” They are looking for a work experience that includes an employer that is active in their community and that also provides opportunities for them to give back, often during the work day. Savvy employers know this well and understand that employee retention is important to their bottom line, so providing these opportunities and experiences is important to them, too. Not only do they want to help the communities in which they reside succeed, but they also want to be a caring member of their community. 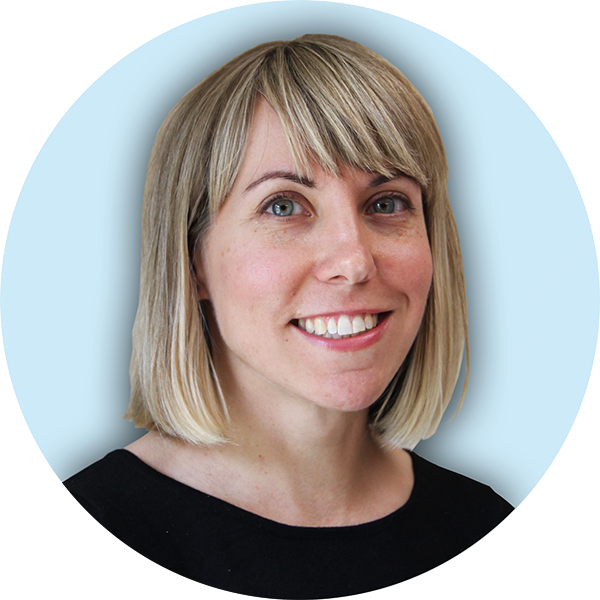 They also want to foster an active and engaged employee base, knowing that nonprofit experiences can build both camaraderie and leadership skills – both good things. DMARC has long enjoyed support from the corporate community. Nearly 100 corporate partners provided over $100,000 in support to the DMARC Food Pantry Network. 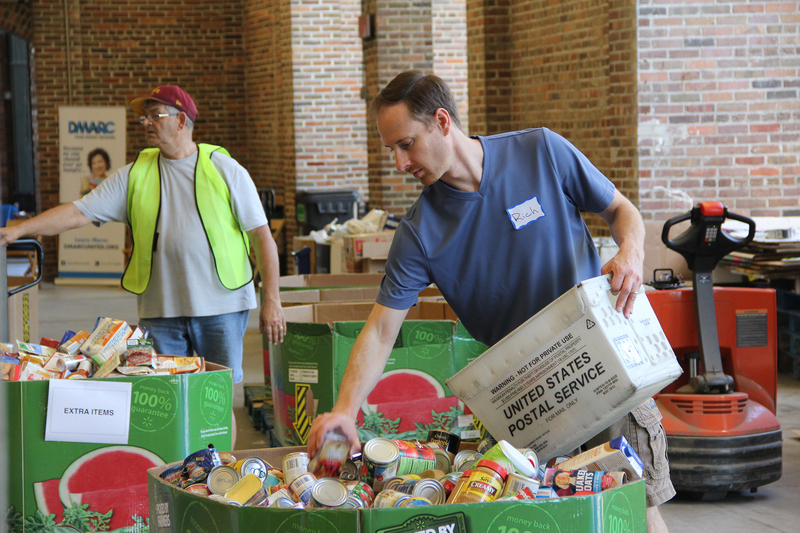 In total, nearly 70,000 volunteer hours were contributed to the DMARC Food Pantry Network, a value of $1.6 million. Whether building a putt-putt golf course with cans, having an Iowa vs. Iowa State friendly tailgate competition, or volunteering in our warehouse or at Stamp Out Hunger®, fun was an element in all. But fun is just the beginning! DMARC is committed to building a positive relationship with our corporate partner’s one that helps them achieve their goals and one that provides an element of learning, too. We also want to build meaningful opportunities for our partners. Often the first thought that comes to mind when considering volunteer involvement is helping to sort food, but did you know that that is only one of many ways that corporate volunteers can help DMARC? Successful corporate engagement is not a one-sided endeavor. It means that both organizations know and understand what success looks like, from the other party’s view. The landscape of corporate engagement is changing, and we believe for the better. 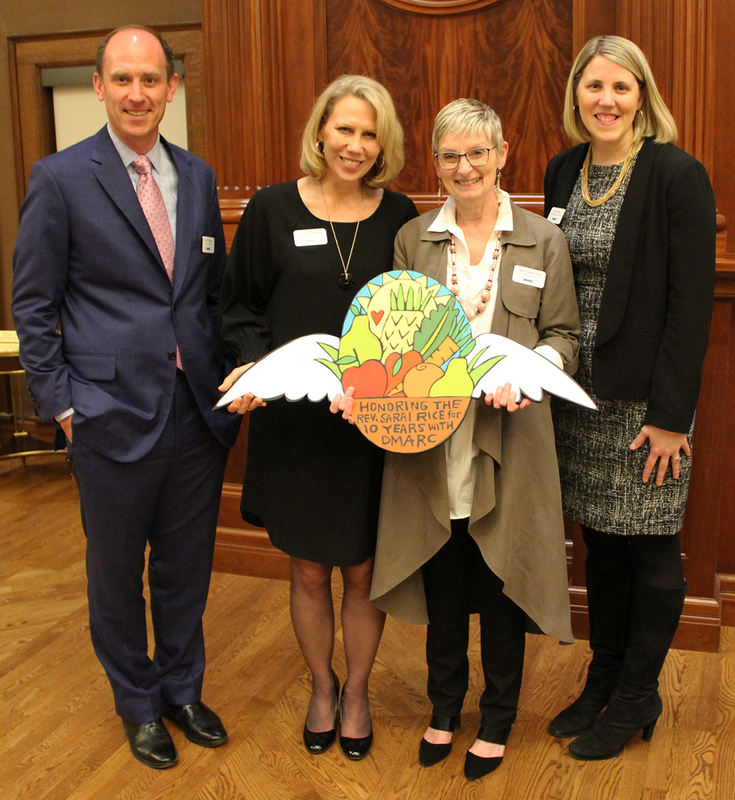 We are always pleased when corporate partners want to understand more about the root causes of food insecurity in our community and what they can do to help in innovative ways. Because when we have a discussion, we can provide a more full understanding of the complexities of the issue. And we can learn about the unique ways they might be able to help. Want to learn more about how your company can begin a relationship with DMARC? Contact Leslie Garman, Director of Development & Outreach at (515) 277-6969 or lgarman@dmarcunited.org. We’d be excited to explore ways that work for you! 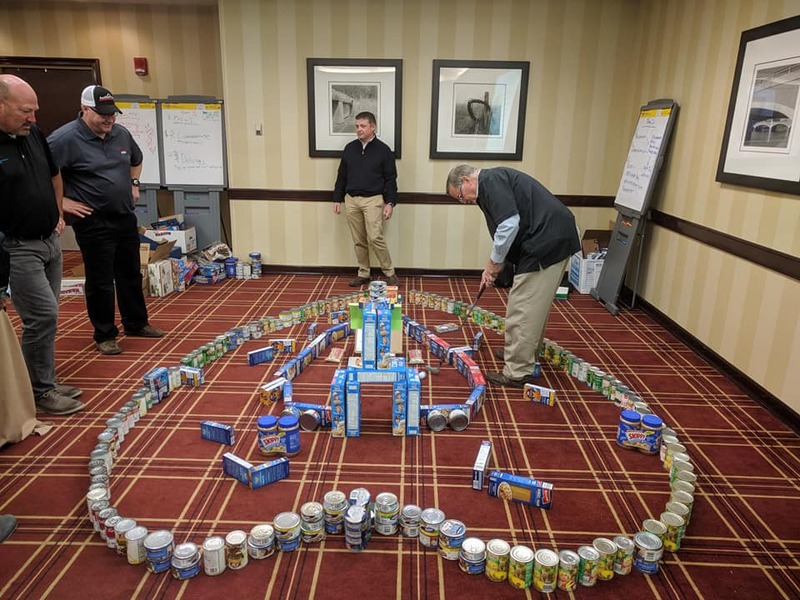 DLL Financial employees play a mini-golf course made from food donations on January 17, 2018. The food items were later donated to the DMARC Food Pantry Network. 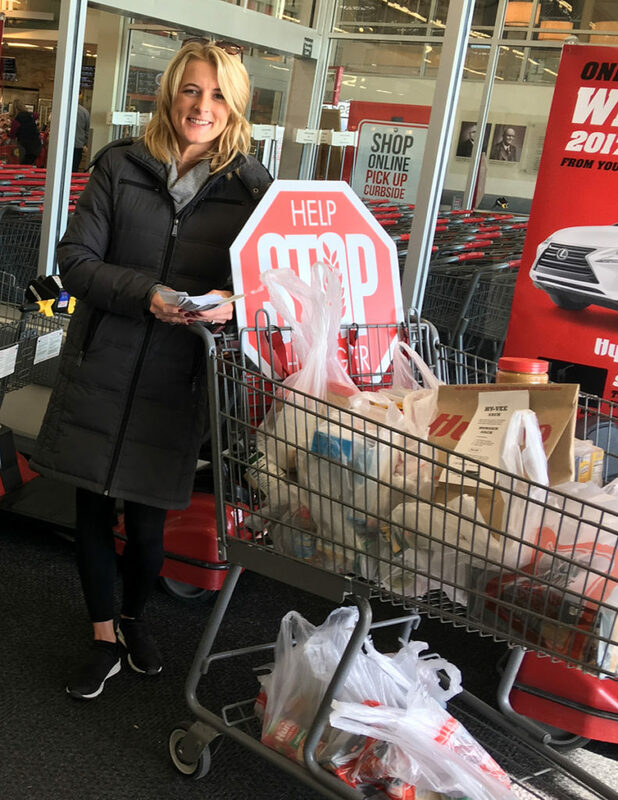 A volunteer collects food donations at a Red Barrel event put on by the Ankeny Kiwanis and Key Club in November 2017. 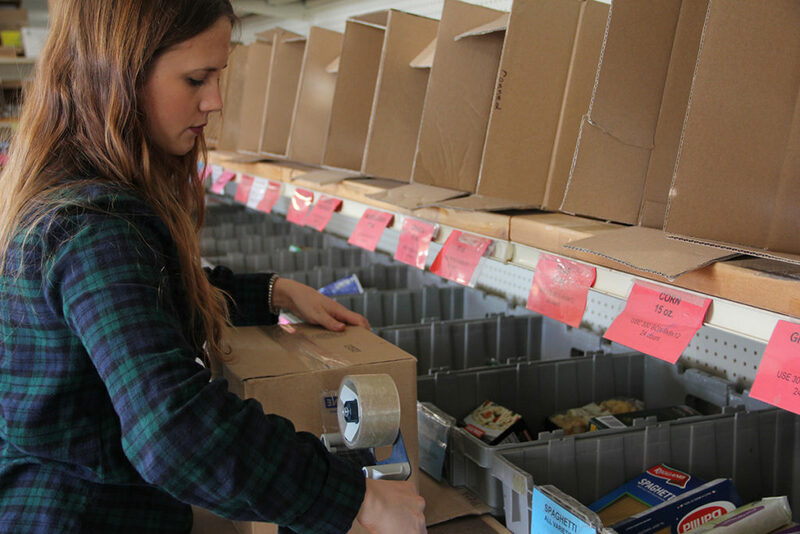 A volunteer from Workiva tapes up a box for food donations in the DMARC warehouse on November 15, 2017. We believe that, if you need food, you should be able to get the same quality, and the same amount, no matter where you live in Greater Des Moines. By fundraising throughout the metro area and by being able to move food across our Food Pantry Network, DMARC is able to ensure that people living in lower-income areas have the same access to good food as do people living in wealthier areas. The food we provide is free, not only to the people we assist, but also to the partner food pantries in our network. We fundraise on a regional scale so that our partner pantries do not have to pay for the food they receive from DMARC. 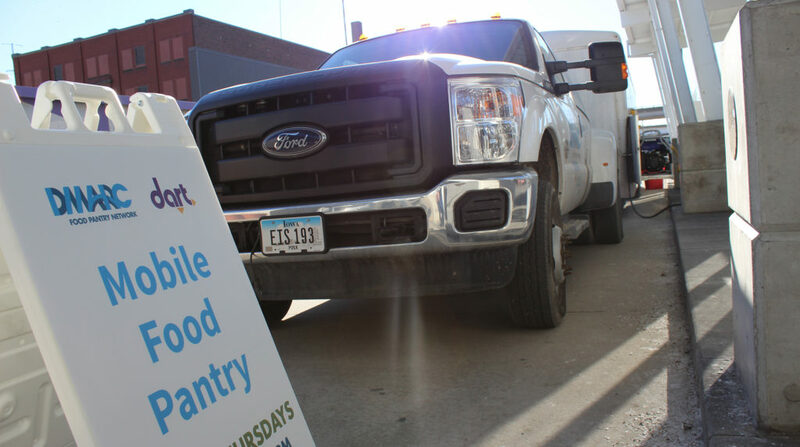 People who visit a DMARC partner food pantry are only able to receive a three-day supply of healthy food once per calendar month, but AnyTime Items such as donated produce and bread products, dried beans, and Meals from the Heartland are available any time a pantry is open. No one should ever have to walk away from a food pantry with nothing to eat. For too many central Iowans, the economic recovery has never arrived. Even as our state reaches “full employment,” nearly 40% of people in Polk County are struggling to make ends meet, according to the United Way’s most recent ALICE report. And while wages are finally starting to see an increase, they are not keeping up with inflation. Essentials like housing, child care, energy, transportation, and health care have all risen in cost at a pace that has not been matched by increasing wages. Iowa’s minimum wage currently sits at $7.25, and has not seen an increase since 2008. 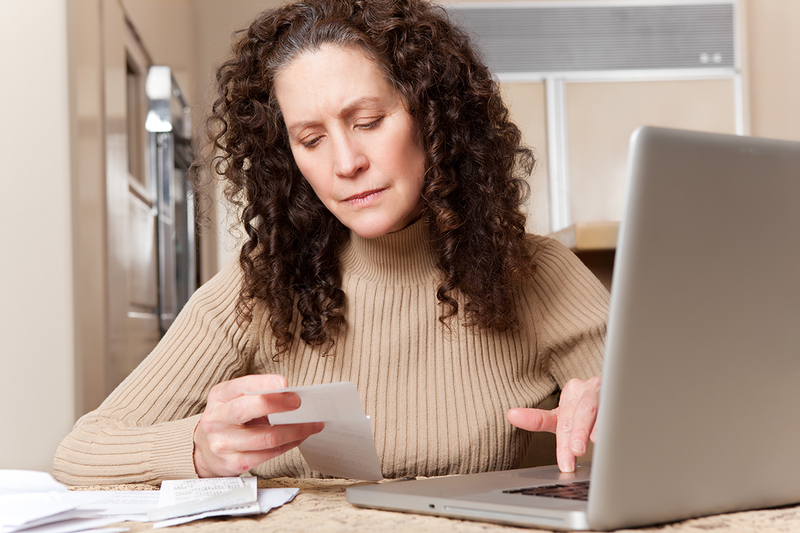 For Iowans who are facing increasing costs with no rising pay, the future looks uncertain. According to the ALICE report, Polk County has seen an increase in households struggling to meet their basic needs, from 26% of the population in 2012 to 36% of the population in 2016. It’s something we’ve been seeing first-hand at DMARC. Since 2012, total visits to the DMARC Food Pantry Network have increased by 73%. One of the major driving factors of this is lack of affordable housing. Currently, Polk County is about 8,000 homes short of affordable housing. In the Des Moines-West Des Moines metropolitan area, 17.8% of renters pay more than half of their monthly income in rent. If the issues of rising costs of basic essentials and slow-growing wages are left unaddressed, those struggling economically in our community have a bleak future ahead of them. That’s why reframing the narrative on poverty in our state and country is so important. Poverty exists because people don’t have enough money. Individual choices don’t keep people in a cycle of poverty, an unjust system does. And until that system is corrected, the DMARC Food Pantry Network will continue to see more and more people using food pantries to help feed their families. Since 2012, total visits to the DMARC Food Pantry Network have increased by 73%. Our first Interfaith Youth Leadership Camp took place in August 2017, and the second in July 2018. 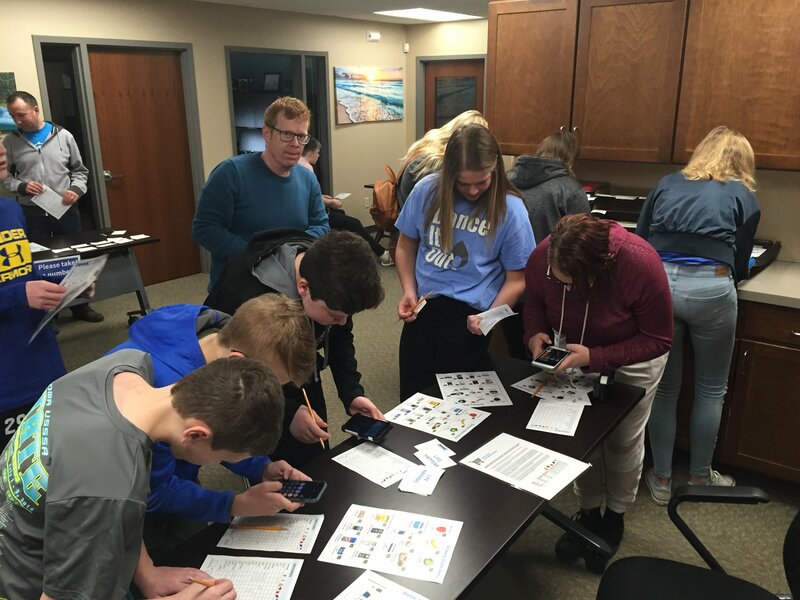 A collaboration between The Comparison Project at Drake University and DMARC, the camp brings high school students from diverse backgrounds together to explore the religious landscape of the Des Moines metro area. As part of the camp, each student creates a digital storytelling project about their own faith. The camp is a powerful experience in encountering differences, building relationships, and cultivating the skills for interfaith leadership. 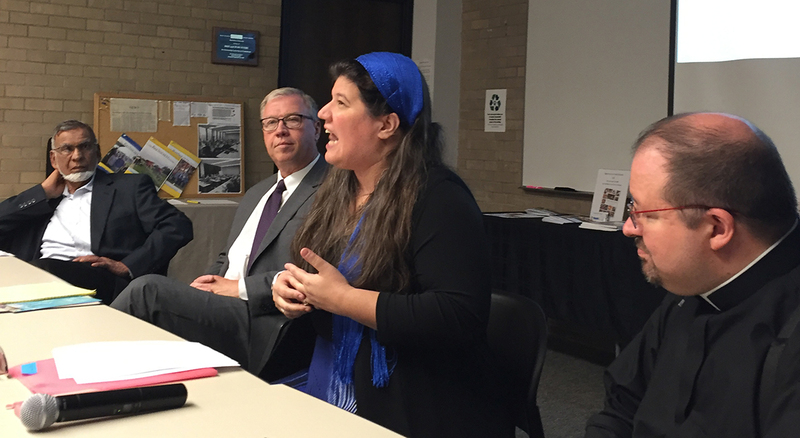 In the past year, DMARC has provided interfaith panels and presentations for community groups, businesses, schools, faith communities, and even Polk County Juvenile Detention Center. With topics ranging from youth perspectives to end of life concerns, interfaith panels introduce the audience to the diversity of faith right in their own community. Interfaith panels are also a great opportunity for panelists from various faith communities to get to know one another. While knowledge of other religions is important, relationship building opportunities are even more impactful. 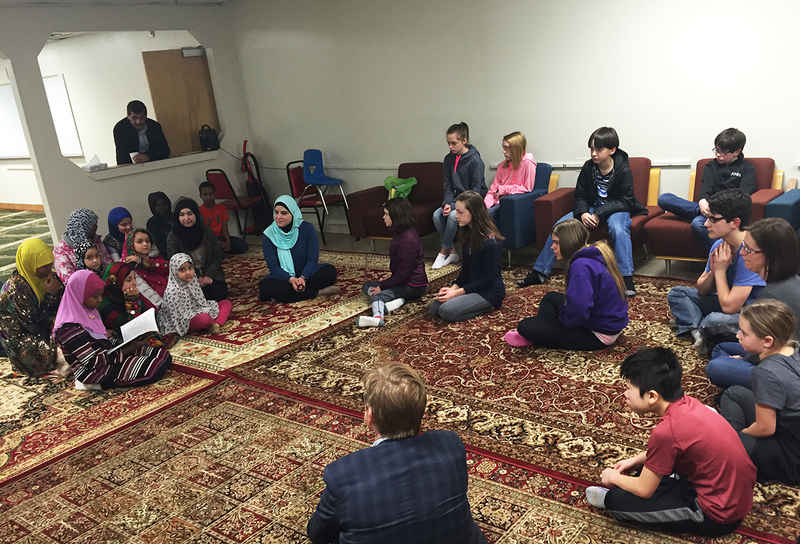 For that reason, DMARC collaborated with Westminster Presbyterian Church to create an interfaith youth series in which the group traveled to visit the Jewish Federation, AlRazi Academy, St. Francis Roman Catholic Parish, and the Church of Jesus Christ of Latter-day Saints. Youth from each of these communities shared about their faith with the visitors, and the visitors and hosts shared a meal. In February 2018, DMARC partnered with the Comparison Project to host the Iowa Interfaith Exchange. This year’s event turned the floor of Drake University’s Parents Hall into a giant map of Greater Des Moines, with 29 religious communities setting up displays on their approximate location. Members of the public were invited to pilgrimage from site to site, exploring their community in a new way. The participating faith communities also got the opportunity to meet their religious neighbors and learn about the diversity right in their own neighborhoods. To learn more about our work in interfaith engagement, please contact Rev. Sarah Trone Garriott at stronegarriott@dmarcunited.org. *The $1,427,316 of in-kind contributions by category were: non-perishables that meet our healthy food guidelines (13.1%), non-perishables that do not meet our guidelines (11.7%), dairy items (7.8%), frozen meat (3.9%), fresh produce (44.8%), personal care items (3.9%), baby formula (0.6%), diapers (1.3%), food passed on to other organizations (4.4%), and non-food in-kind contributions like equipment, services and other goods (8.5%). The Red Barrel program has been integral to DMARC’s fight against food insecurity since it was established with the help of local Kiwanis clubs in 1990, providing community members the opportunity to donate food and personal care items at their local grocery store, and deepening our relationship with a variety of retail business partners. 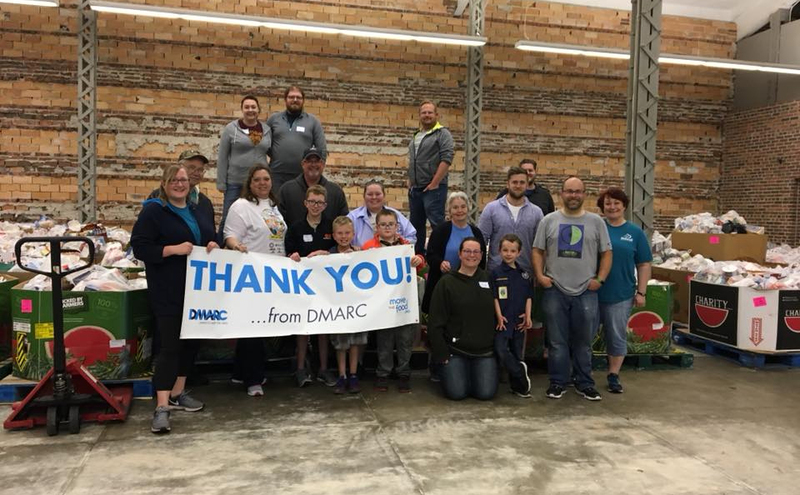 Over the years, numerous volunteers have participated in the collection of millions of items to stock the shelves of DMARC’s partner food pantries. To better meet the continually increasing need for our services, we are transitioning the Red Barrel program from a physical presence in stores to an app-based experience that will allow anyone, anywhere, to help us purchase our most-needed food items. Plans include pop-ups sharing statistics about DMARC’s impact in the community, prompts encouraging donors to help us meet our monthly target for specific foods, incentives for meeting personal donation goals, and more! And since there is no denying the power of brand recognition, Red Barrels will still accompany special drive events in select stores—the perfect balance of honoring a legacy with an eye toward future innovation! Young & Hungry is a DMARC committee focused on engaging the next generation of DMARC supporters. Through volunteer outings, social events, trivia, and other activities, we hope to connect with young people who are passionate about ending food insecurity in Greater Des Moines. Since 1978, DMARC has been providing emergency rent and utilities assistance for families facing an eviction or utility shut-off. Originally established under the name “Compassion in Action,” DMARC’s Housing Stability Fund currently partners with Polk County General Assistance to distribute funds to families facing a financial emegency that could leave them without housing. However, providing emergency rent and utilities assistance is not going to solve the problem of Polk County’s lack of affordable housing. It’s an immediate and temporary fix to a very complex and ongoing problem in our community. Currently, Polk County is 8,000 homes short of affordable housing for its residents. For too many people, finding affordable housing in Greater Des Moines seems an impossible task. 17.8% of renters in Des Moines and West Des Moines are forced to spend over half their income on rent. Using our data visualization dashboard, we’ve paired DMARC client data with the U.S. Census Bureau’s American Community Survey (ACS) data. Through this, we’ve identified the overwhelming relationship between the average percentage of household income that goes to rent and the percentage of people using a DMARC food pantry in specific census tracts. Not surprisingly, higher average percentage of household income paid to rent in a census tract correlates to higher use at food pantries (see video). When people are spending more just to keep a roof over their heads, they don’t have as much money to spend on groceries. More people are turning to food pantries to help stretch their monthly budget. DMARC is already refocusing our affordable housing efforts. We’re engaging with our congregations to come up with ideas to repurpose spaces for affordable housing projects, and advocating the intersecting need in our community for affordable housing to our local leaders. Food insecurity is directly tied to the lack of affordable housing in our community. This animated bubble graph shows the interaction between rising housing costs and food pantry usage in Polk County, IA. The first animation: as the median rent as a percentage of household income increases (horizontal axis), the percentage of persons using the food pantry in that housing tract increases (vertical axis). The bubbles represent actual DMARC food pantry network users in those census tracts. The larger the bubble, the greater number of pantry users in that census tract. Also, the bubbles get bluer as the household income decreases. The second animation shows the change from 2014 to 2017 for a specific census tract. Here we have shown the change with a blue line. (No audio). Mary Ann and Don Madole, Jr.
Phyllis A. Swink and Caesar Smith, Sr.
Julie and Robert Hitchler, Jr. Dawn Johnson and Dale Johnson, Jr.
Theresa Klein and Kenton Klein, Jr.
Ronata and Dana Simon, M.D. Prairie Meadows Racetrack and Casino, Inc.
West Des Moines Police Benevolent Asso.